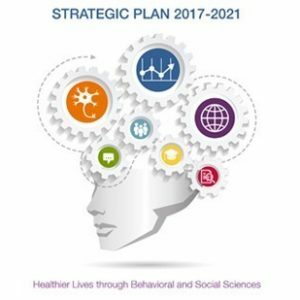 The Office of Behavioral and Social Sciences Research (OBSSR) wanted to create and publish its third strategic plan—one that would identify research challenges and opportunities that could further behavioral and social sciences and the nation’s health. However, given the breadth of the transdisciplinary science involved, it was essential that the strategic planning process capture input from an array of experts and organizations, while creating a document to capture the attention of scientists and those interested in furthering the field for years to come. RLA provided an array of executive secretariat, analytic/synthesis, and publication writing, editing, and design services to support the creation of the OBSSR Strategic Plan, Fiscal Years 2017-2021. This multi-task effort required RLA to provide: (1) expert scientific writing services to summarize and prepare incisive reports covering an expert panel and advisory group meetings; (2) analysis and synthesis of scientific themes arising from a request for information sent to scientists and advocacy groups; (3) background research and an initial draft of the strategic plan; and (4) creative design, layout, and copyediting services for the final publication that would also create branding for multimedia use.